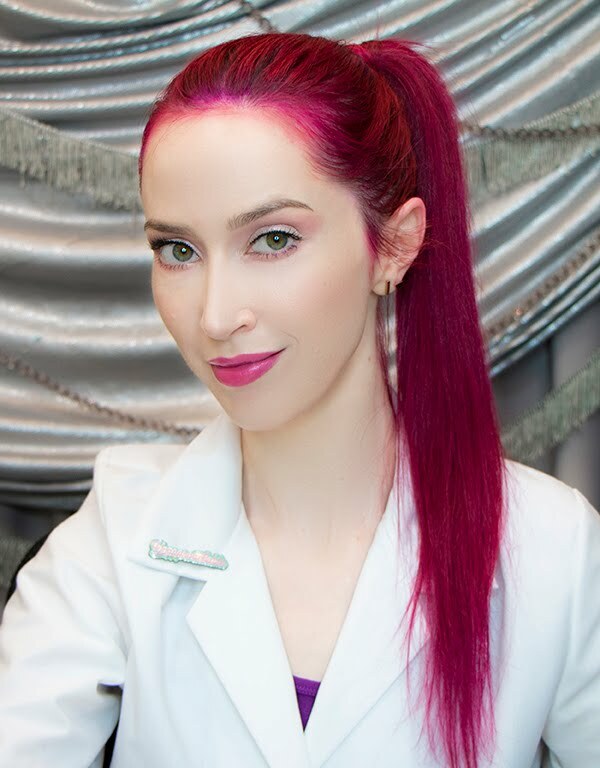 Veronica Gorgeois: Q & A: Baking soda and apple cider vinegar in the hair? Q & A: Baking soda and apple cider vinegar in the hair? Many people are asking about using baking soda and vinegar in the hair. This is a good explanation of why you shouldn't (just note that I don't agree with every article on this site--they have some good ones, but some that are completely against what I practice). Hair can be thought of like a fine leather: With improper treatment, it can become stripped of its natural oils, resulting in a dried, limp, colorless remnant of what used to be. Most shampoos are formulated with a neutral or slightly acidic pH. Baking soda in water alone is basic, despite what you may have heard to the contrary. 1. Baking soda is a known irritant that will cause your hair to dry out and break over time. With a pH of 9 — 100 times more basic than water — baking soda is a known alkaline irritant (Journal of Cutaneous Pathology, 1989). 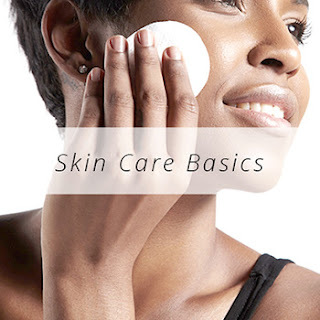 According to renowned dermatologist Dr. Audrey Kunin, M.D., “The first principle of shampooing: make sure your shampoo says it is pH-balanced and avoid those that are alkaline. Alkaline shampoos strip the hair’s natural oils and disrupt the acid mantle, causing dehydration and leading to porous, fragile hair” (The DermaDoctor SkinStruction Manual, 2005). Yes, it’s true that baking soda helps regulate pH — keeping a substance neither too acidic nor too alkaline. When baking soda comes in contact with either an acidic or an alkaline substance, its effect is to neutralize that pH. However, as any cosmetic chemist can tell you, this effect occurs when baking soda is in solution with other chemicals. When baking soda is in water alone, guess what the pH of the solution is? You guessed it: A very basic 9, much more alkaline than plain ol’ water. 2.) Apple Cider Vinegar Has Some Benefit — But Can Still Make Hair Brassy. Due to the slightly acidic pH of apple cider vinegar mixed with 2-3 parts water, some experts believe it can also extend the life of hair color when applied immediately after hair dye is rinsed off. Most hair dyes are alkaline, which opens up the hair cuticle. When hair color is applied, it can then penetrate to the hair’s inner cortex, where it can react with the hair’s pigment molecules to produce a color change. Acidic solutions applied after, like apple cider vinegar, may reseal the cuticle. This flattening may not only help hair color last longer, but also flatten the cuticle, making your hair easier to comb and a bit shinier. Still, overdoing it with apple cider vinegar can cause more damage than it is worth. Anyone who has applied lemon juice to their hair can tell you that acidic solutions will cause your hair to become lighter, drier, and more brittle over time. Those “blessed” with black hair, like myself, can tell you that the acidity will also bring out the brassy tones in your color, leaving you with lovely orange hair Zoe the muppet would envy. If you still don’t believe me, keep in mind that many perming solutions have an acidic pH, breaking disulfide bonds within straight hair. 3. You’re depleting your hair of natural oils. Putting a few drops of oil on your hair after shampooing helps, but you’re still not moisturizing your scalp. Better: use a shampoo with natural replenishing oils that is suitable for your hair type. One terrible thing about using baking soda and apple cider vinegar alone on your hair is that these do not contain any oils that can be beneficial for your hair. The best shampoos replenish natural sheen to the hair which they have just stripped as a part of the cleaning process. 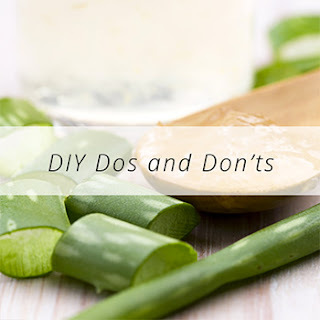 But by taking the “do-it-yourself” approach, you are taking away the ability for shampoos to gently replenish oils from root to tip. Instead, you’re drying out your scalp, and likely replenishing oils only on the ends of your hair. Not cool. Not all chemicals are bad. Really. I promise. If I hear one more “expert” say that “chemicals” are ruining your skin, hair, or the environment, I’ll scream. Chemicals have prolonged many more lives than they have cut short, in the form of potent antibacterials, antifungals, antibiotics — you name it. Just 100 years ago, the average life expectancy was 51 for men and 56 for women (Berkeley.edu). The reason we’re living 25-30 years longer isn’t improved nutrition or more “natural” products — it’s medicine, pharmaceuticals, chemicals. That said, I’m not going to defend the deplorable actions of some companies for the last few decades, either. By including known irritants like sulfates and phthalates into some of their products, the beauty and cosmetics industry has lost the trust of many of their more health-conscious consumers. Which would you choose? Turns out white willow bark (left) and aspirin (right) work the same way in the body. Aspirin is just more concentrated. But instead of turning to the solid research that lead to life-extending drugs and medicines for possible replacements, we instead believe somehow big pharma and major cosmetics companies are “bad.” For instance, we’ve turned to plant extracts. Ask any natural product advocate on the street about white willow bark and aspirin, and she’ll tell you white willow bark is “good” and aspirin is “bad.” Yet the active compound in white willow bark is exactly the same as in aspirin. Scientists can extract the active parts of many plants of white willow bark, isolate it, and shazam! — you have the same active ingredient as in aspirin. My point in addressing this is one of caution: Do not trust products just because they are “natural.” It may fit in more with a natural, holistic lifestyle, but you can actually be putting yourself in more danger. Some people I know dreamed of becoming a cosmetic chemist from the time they were a child. They studied hard, went through years of schooling, some got PhDs, then got tons of formulation experience, and made fantastic shampoos — and you’re mixing baking soda and putting it on your scalp like your great-grandmother?! It doesn’t make sense. New technologies and their chemicals are not all bad. Some, in fact, are fantastic for your hair. If you want all-natural, Wen by Chaz Dean does a great job of balancing all-natural cleansing with moisture-replenishing oils. 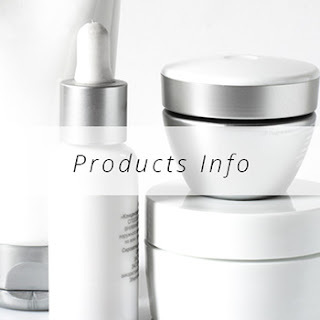 These are the products if you’re looking for “all-natural,” but if that’s not necessarily what you’re looking for, then I’d recommend checking out our post How Do I Make My Hair More Youthful, Shiny, Full, and Thick? for even more options. Please never use baking soda on your hair. It is associated with breakage and damage. You can use apple cider vinegar (1 tbsp/1 cup of water) occasionally, meaning twice/month or less. I do not recommend using it before going out in the sun or for those with dyed dark hair — the acidity can bring out brassiness. Please try to consider the fact that “chemicals” are not always “bad” and “natural” is not always “good.” If you don’t believe me, consider the fact that we’re living 25-30 years longer now than 100 years ago due to medicine, drugs, and chemicals. Please stop trying to make your own products, unless you have a degree in the sciences and a job at a lab!